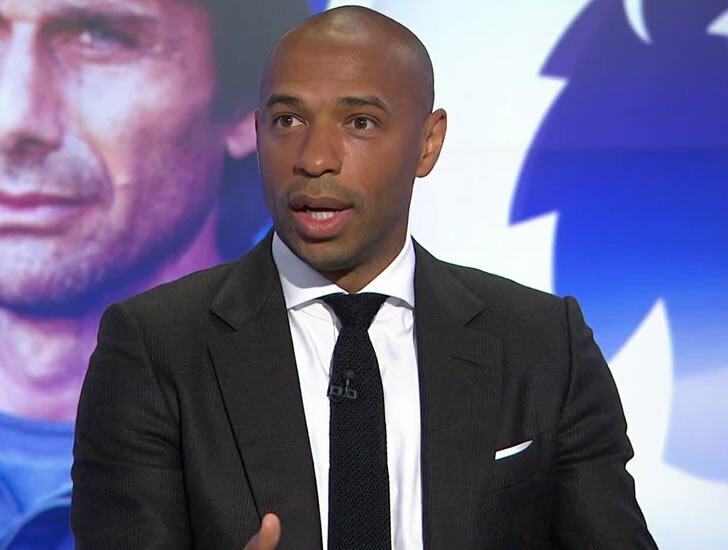 Thierry Henry criticised Granit Xhaka for his poor defending in the lead-up to Manchester United’s opening goal in Arsenal’s 2-1 loss at Old Trafford on Sunday. The Switzerland international was the captain for the day as Arsene Wenger made his final bow as Arsenal manager at Old Trafford. However, Xhaka had a first half to forget and was widely criticised for his involvement in Paul Pogba’s opener in the 16th minute at Old Trafford. Xhaka failed to track Pogba’s run as the French midfielder ended up finishing from close range after Alexis Sanchez’s header was deflected onto the post by Hector Bellerin. Henrikh Mkhitaryan ended up levelling against his former club with a fine low finish past David De Gea in the 51st minute. But Marouane Fellaini had the final say when he headed home in the 92nd minute. However, Arsenal legend Henry was clearly not impressed by what he saw from Xhaka in the lead-up to Manchester United’s opener on Sunday afternoon. Speaking during Sky Sports‘ coverage of the game about Xhaka’s role in the opener, Henry said: “He does what he is supposed to do, he comes back. But then stay on your feet and see what happens, don’t dive in. “Then he doesn’t track back. Then he was looking at it pulling his socks up and putting his shin-pads back on. Arsenal will now switch their attentions back towards Europa League affairs and their crunch clash against Atletico Madrid on Thursday night. The Gunners played out a 1-1 draw with the Spanish side in the first leg of their semi-final clash at The Emirates last week.